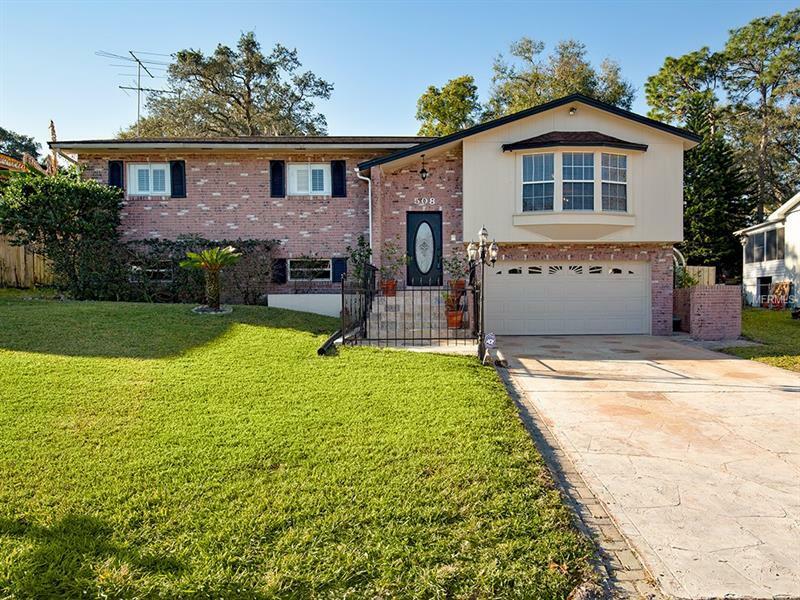 Welcome to your forever home, perfectly situated on an oversized lot in sought after Lake Brantley school zone. This split level, 5 bedroom pool home has been lovingly maintained and updated throughout the years by its original owners. Various features include solar for entire home which makes utility bills a breeze. New A/C added approximately 5 years ago. Wooden fence added last year. Interior and exterior freshly painted. Granite counters in kitchen and baths. Hardwood floors on main level. Huge basement bonus room, bath, and bedrooms- great for in-law or guests. Oversized garage, newer gas powered water heater, electrical updated, plumbing updated. You'll be sure to enjoy entertaining in the massive backyard complete with screened in pool, fruit trees, Gazebo, and bonus studio space/outdoor kitchen not included in actual sq footage. The time is now to stake your claim on this lovely home, conveniently located right off Montgomery.